The Super Bowl 2014 has New Jersey and New York adding security cameras to better protect the public. Met Life Stadium has installed over 1000 extra cameras to cover this event. Time square has added over 250 extra cameras as well. Central Jersey Security Cameras knows the importance to make everyone safe with security cameras is important. Do you think adding security cameras to your home or business is something you would like to do but feel the price is out of your reach? Security cameras are something that is only a necessity for just large events such as the Super Bowl or Time Square? Well think again! Central Jersey Security Cameras believes security cameras are now becoming a necessity to protect what matters most to you! Central Jersey Security Cameras is committed to educating everyone on the importance security cameras in today’s life. Having cameras properly placed by professionals to secure your family or business without becoming intrusive is what our technicians are trained to do and will come to your home or business and show you how it can be done. Central Jersey Security Cameras takes pride in taking the time with each business or each family to train them on the use of their security cameras. We have staff in daily to help you trouble shoot when you first learn to work your systems. That’s right a company that still believes it’s important to get to call and talk to real people and not have to wait hours on the phone to talk to a live person! Knowing that cameras are there to protect you is a securely that we all need today. The extra cameras to keep the public safe for the Super Bowl festivities is just more proof that it’s needed today. For the Super Bowl and around Time Square cutting edge cameras are being used to deter crimes from happening. Central Jersey Security Cameras uses many of these same cutting edge security cameras to protect our client’s everyday! Are you ready for affordable cutting edge protection for your family or your business call Central Jersey Security Cameras today 732-415-7772. Let’s get started protecting what matters to you most! This entry was posted in Uncategorized on January 30, 2014 by Casey369. What a group of fanatic guys! They were all respectful, neat and clean. The guys met all of our expectations and I will tell everyone what a great job you all did. 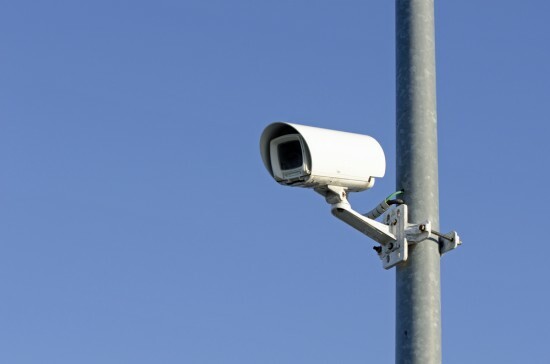 The services from Central Jersey Security Cameras are a all around ten from start to finish! This entry was posted in Testimonials on January 17, 2014 by Casey369. Do you own an Apple I phone, I pad smart phone or lap top? If you answered yes how you would be like to have the ability to view your home right from the palm of your hand? Central Jersey Security Cameras can make this happen for you. With cameras professionally installed by Central Jersey Security Cameras we can help set your Apple I phone, I pad, smart phone or lap top to view homes remotely in real time while we are away. With Cameras installed by Central Jersey Security Cameras you can see views of your home from the palm of your hand. How nice would it be to check to see what time your teenager comes home and who is at the door with them from the palm of your hand. In addition to protecting your home with cameras Central Jersey Security Cameras now offers Alarm systems with residential central station monitoring. Central Jersey Security Cameras is dedicated to helping you protect your home to the fullest. Cameras and Alarms are your fist defense against would be-intruders. Brick NJ, Toms River NJ, Jackson NJ, Freehold NJ, Colts Neck NJ, Woodbridge NJ, East Brunswick NJ, Edison NJ to name just a few towns that have all been in the new with break ins, and robberies. With Alarms the authorities will be alerted to come to your home faster and with Cameras there is now proof of who has committed a crime. Once there is proof the faster these criminals are off our streets! This entry was posted in Uncategorized on January 16, 2014 by Casey369. Would you like to have your college students are protected? Lately in the news there have been off campus break-ins near Rutgers College in New Brunswick New Jersey. As these students all return back to school Central Jersey Security Cameras would like to take this time to let the residents near Rutgers College know we can help them stay protected. Central Jersey Security Cameras is a company that believes education is the key to keeping your loved ones and belongings safe. Our trained technicians come to your home and will give you a free evaluation on what would suite your unique needs best. Central Jersey Security Cameras installs security cameras and alarms. Each case is different you may feel you need both or just one. Our technicians know each case is not the same and help you chose what will work best in your case and keep in mind your budget. College students need to feel safe and protected to perform to their highest potential. Knowing the housing they live in is protected will help your college student feel more secure and concentrate on their studies rather than about their valuables (many that are needed for school) or even being harmed in a break-in. At Rutgers University back in 2009 there was a study done that found alarm systems are valuable crime fighting tool. The study was called “The Impact of Home Burglar Alarm Systems on Residential Burglaries” This study found that an installed burglar alarm makes a dwelling less attractive to the would- be and active intruders and protects the home. Central Jersey Security Cameras agrees with this study. We have a fully trained staff that knows just were to place cameras and alarms to best fit your needs. Now your next thought is “I m already paying the price of college how will I ever afford to install alarms and cameras? Cameras and alarms are expensive to install!” Central Jersey Security Cameras always keeps the family budget in mind and will work with you to meet your needs to protect your loved ones. Central Jersey Security Cameras customers are happily surprised at how affordable we keep our prices to help you stay protected. The Students on the news that are boarding and chaining up doors near Rutgers University to try and stop these robberies are now endangering their lives by causing fire hazards. Please let’s keep these students safe call Central Jersey Security Cameras today so we can educate you on how we can help keep what matter to you most safe! This entry was posted in Uncategorized on January 13, 2014 by Casey369. Residential Central Station Monitoring and Commercial Central Station Monitoring now installed by Central Jersey Security Cameras. Central Jersey Security Cameras is now proud to offer our customers Jersey Alarm Residential and Commercial Central Station Monitoring to better protect what matters most to you! What is Commercial/Residential Central Station Monitoring? Central-Station is a common term used to refer to a company that provides services to monitor residential alarm systems. The central-station may also provide watchman and supervisory services. Central Jersey Security Cameras/Jersey Alarm Technicians are licensed specialist in the installation and maintenance of your home or commercial Alarm System. Jersey Alarm is here to help handle the complex, demanding job of monitoring your home or businesses 24/7. Central Jersey Security Cameras/ Jersey Alarm employees undergo extensive training yearly to stay knowable of all of the newest Alarm and Security technology to best sever our valued customers. Our technicians and sales staff are all fully background checked and are all in the top of their fields. At Central Jersey Security Cameras/ Alarms New Jersey the technicians are all experts in their fields and been in the business for many years. When you protect your home with Jersey Alarm you can rest easy knowing you are protected with a company that stands behind its work and believes in educating you and your family to use your alarms to their fullest positional. Once Jersey Alarm Technicians complete your system we can send you a certificate for your home owners insurance to lower your home owner insurance Rates in most cases. This entry was posted in Uncategorized on January 8, 2014 by Casey369.